Oak Hill Capital Partners recently purchased online bookseller Alibris. On May 8, 2006, online bookseller Alibris announced the company had been sold to venture capital firm Oak Hill Capital Partners. Naturally, such a major acquisition set off a chain of questions, concerns, and rumors in the bookselling world. We went to Alibris' Director of Direct Marketing and Sales to answer some of these questions surrounding the purchase. Before looking at the answers, here is a quick review of events. On May 8, Alibris announced its sale to Oak Hill. 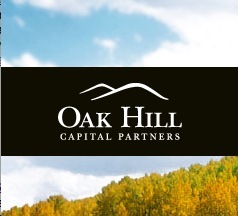 Oak Hill is a private investment firm with a stated $4.6 billion in capital. We will assume this is plenty to take care of Alibris' financial needs with money left over for other ventures. Among the companies Oak Hill is already invested in are Washington Mutual, The Container Store, Oreck, TravelCenters of America, and Proquest. The latter raised a few eyebrows because they are involved in the on-demand printing of out-of-print material. The lead investor in Oak Hill is Robert Bass, son of a legendary Texas oilman. However, Bass' fortune was not all a gift, but has grown through the years based on his own shrewd investing. Robert Bass currently shows up as number 200 on Forbes Magazine's list of the wealthiest people in the world, with an estimated worth of $3.4 billion. Certainly Mr. Bass has made a lot of wise investments, more good than bad, a most hopeful and promising sign for Alibris. One of the most commonly heard rumors was that Oak Hill was some sort of a creditor, effectively foreclosing on Alibris. Alibris has long had outside capital invested, and when its plans to go public two years ago fell through, it turned to the markets for additional capital. However, Alibris' Director of Direct Marketing and Sales, A.J. Kohn, explained that Oak Hill was not one of those earlier investors. This was a new investment for them. "They had no prior financial involvement with Alibris as investors or creditors," Kohn explained. "What they do have is a strong view about the growth potential of our company." He went on to say, "Oak Hill invested in Alibris because we are profitable and have opportunities to use additional capital to help us grow overseas, to extend into movies and music, and to provide additional services for our sellers and customers." While Alibris does plan to expand the movie and music part of its business, this does not signal a wholesale shift in its selling strategy. The intention is to stick with books and these other related businesses, rather than follow Amazon in selling all kinds of merchandise. "Our focus remains on connecting sellers with buyers, and on media products," Kohn says. "We have no plans to expand into lawn mowers!" Kohn believes Alibris' focus on connecting buyers and sellers of "media products" will accrue to the benefit of Alibris' sellers. He predicts, "The upshot of this will be more sales for our sellers as we attract additional customers. We expect to attract customers by doing more of the kind of marketing we do today: search engine marketing, affiliate programs, and targeted email. We will also add business partners and library customers, which increase sales for our sellers."